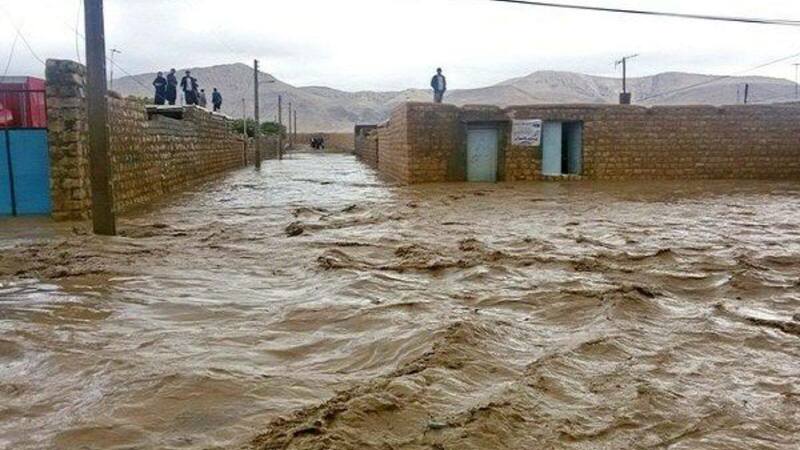 Flash floods caused by heavy rain over the past few days in southern Helmand province has left at least 12 people dead. Six people were killed in capital Lashkargah and six others in Nawa district by the floods, governor spokesman Omar Zwak said. Zwak added that eight others were also injured as their homes were swept away by the floods that has caused destruction throughout several districts in the province. More than 2,000 houses were either partially damaged or fully destroyed by the floods as heavy rainfall in the province poured down for the past several days, Zwak said. The provincial governor, Hayatullah Hayat, had ordered emergency assistance to the victims. Meanwhile 20 people were killed and several others were missing in Kandahar province as a result of the flood, the United Nations Office for Humanitarian Affairs (OCHA) said on Sunday. The agency added that 2,000 houses had been reportedly also damaged. Afghanistan has seen heavy snow and rainfall over the past few days. The country was gripped by a severe drought over the summer due to decreased snow and rainfall the past several winters which displaced thousands of people across the country, especially in the western region. 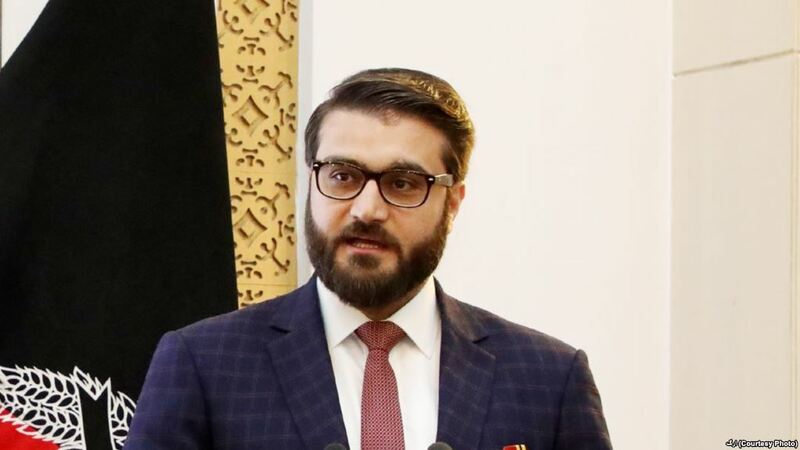 National Security Advisor Hamdullah Mohib arrived in Uzbekistan capital Tashkent today and he is set to meet with high level security officials of the country. The two sides are to discuss peace process, regional cooperation, counter terrorism and counter narcotics. Apart from this, they are also supposed to review the progress of the bilateral security commission, which is an action-oriented joint security cooperation mechanism between Afghanistan and Uzbekistan. This comes after it was announced by Taliban that Uzbekistan’s Foreign Minister Abdul Aziz Kamilov met with the group’s deputy chief Mullah Abdul Ghani Baradar in Qatar capital Doha on Sunday evening. 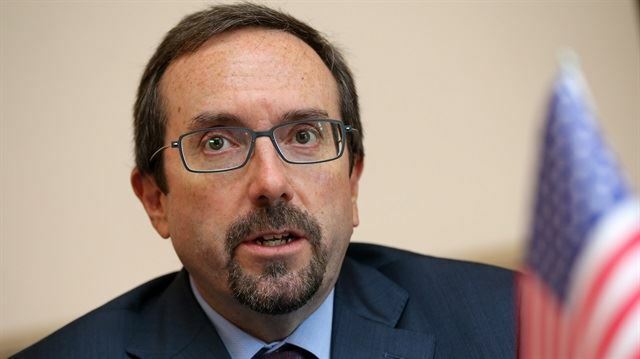 US Ambassador to Afghanistan John Bass expressed on Monday that his country welcomes the appointment of new IEC and IECC commissioners. Ambassador John Bass also wrote that the first step for the above is to finalize the parliamentary election so that the newly elected members of parliament can be seated as quickly as possible. “There should be no delay”, he urged. On Sunday night, the named of the newly appointed members of IEC and IECC were announced, and now the commissioners are set to select their respective chiefs. The Civil Protection Advocacy Group (CPAG) has said that peace talks have reduced civilian casualties in Afghanistan. Based on obtained information, the rate of causalities and injuries of civilians in February decreased about three times, according to a statement released by the group. The group added that in this month, civilians were only killed and injured in 17 provinces of Afghanistan, and 17 others were immune from civilian casualties and injuries. In the past month, 106 civilians were killed and 59 others wounded, according to CPAG. The group has argued that although severe cold weather and heavy snowfall in some provinces have reduced or stopped armed conflicts, but it has been the peace talks that have had a significant impact on the reduction of civilian casualties. Findings from Civil Protection Advocacy Group indicate that most civilian casualties in the last month were caused by air strikes conducted by government and international forces. CPAG has called on various groups engaged in war to pay more attention to the lives of civilians and in the ongoing peace talks, and they urged the factions engaged in war to prevent civilian causalities and ensure the people of Afghanistan that, after this, they will not be victims of war. Security officials reported that seven civilians were wounded in Takhar province. 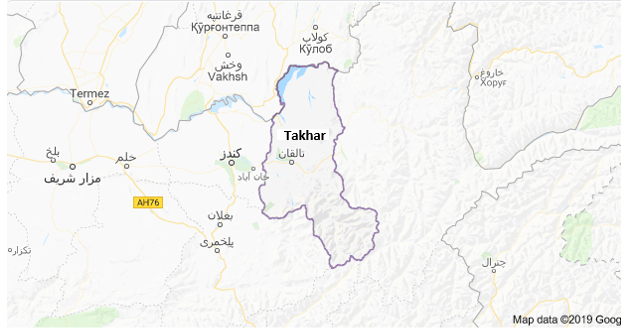 Khalil Asir, spokesman of police in Takhar province told Reporterly that on Monday, around 9:30AM many mortars were fired in Yangi Qala district of this province, as a result of which seven civilians were wounded. According to Asir, the wounded include two children and five men. Afghan army in north of the country reported the death of a Taliban commander including 18 insurgents in Jawzjan province. 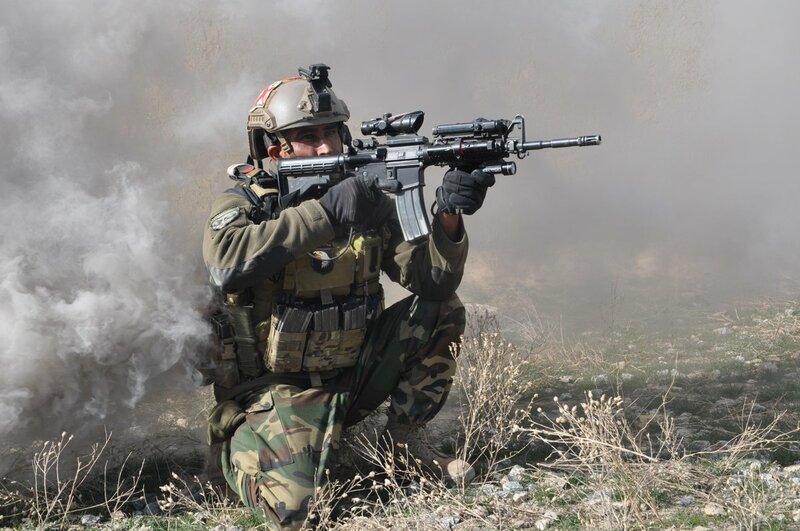 The press office of 209 Shaheen Corps said on Monday that a special and targeted operation of commando forces supported by air force in Mimlak village of Faizabad district of Jawzjan province killed 18 Taliban insurgents including Mawlavi Zarif, a key commander of the group in Faizabad district. The press office further added the operation has been launched in order to suppress the insurgents in Faizabad district of Jawzjan province and will continue until complete cleaning of the district. 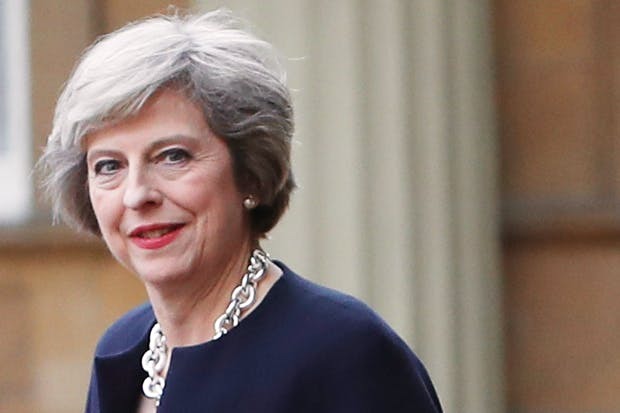 British Prime Minister Theresa May emphasised the importance of Pakistan taking action against all terrorist groups in a call with Pakistan’s Prime Minister Imran Khan on Sunday, May’s office said. “She welcomed his commitment to reducing tensions with India,” May’s office said of the call with Khan. Recently, after a close call of war between India and Pakistan, the former has accused Pakistan of harbouring the Jaish-e Mohammad group behind the attack which killed 40 Central Reserve Police Force soldiers in India. But Islamabad has denied such involvement. President Ashraf Ghani directed the Ministry of Finance to provide urgent finacial resources to help victims of floods due to heavy rain in several provinces across the country. In a meeting held last night regarding the recent floods, the President said a command and control center under supervision of ministry of state in disaster management, along with cooperation of related civilian and military agencies should be established. This would be to organize and coordinate donations and act under instructions of the Chief Executive Officer of the government. He also appreciated measures taken and stressed that ministry of finance should provide urgent financial resources to help those affected by the floods. “Some raw materials owned by various ministries in the provinces should be identified and distributed to victims by cooperation of provincial emergency committees,” he added. He emphasized that defense and Interior ministries and the National Directorate of Security (NDS) will continue to provide assistance in areas where victims are in urgent need of assistance. However, during the last two days, the floods have killed and injured several people and destroyed hundreds of homes and displaced thousands of families in different parts of Afghanistan. Security officials said that a gas truck driver in Jawzjan province was shot by Taliban. 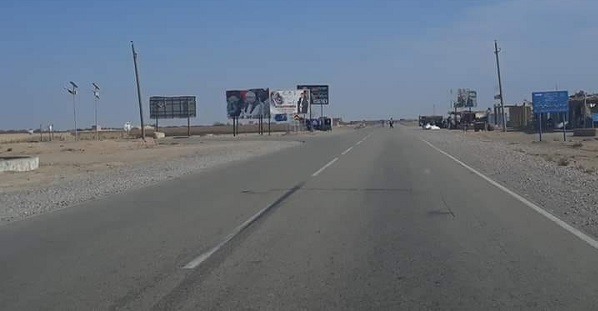 Hanif Rezaei, spokesperson of 209 Shaheen Corps told Reporterly that on Sunday Taliban were planning to steal a gas tank in Jawzjan – Balkh highway. Rezaei further added that after the security forces were notified about the incident, they reached to the area before the gas tank was stolen by these insurgents, but the driver was already killed by Taliban.